By reading this koob, you will discover 12 crucial pieces of advice to help improve your life. Order and chaos are vague philosophical notions that may seem to have no connection to real life. But chaos is most certainly a part of your life, as it appears whenever you're surprised, when your plans don't turn out as expected, or when death or illness arise. It is at the threshold between these two notions where such recommendations on how to live and react to events prove to be the most useful. Without them, you're on your own, and chaos will defeat you. Good advice will give you the power to resist, and order will return to your life. 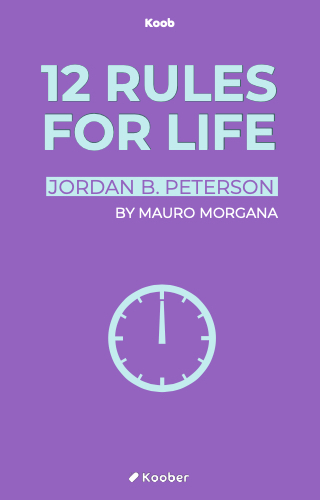 Jordan B. Peterson provides you this crucial advice in “12 Rules for Life.” Follow them—they can change your life!